It's the moment you've all been waiting for! 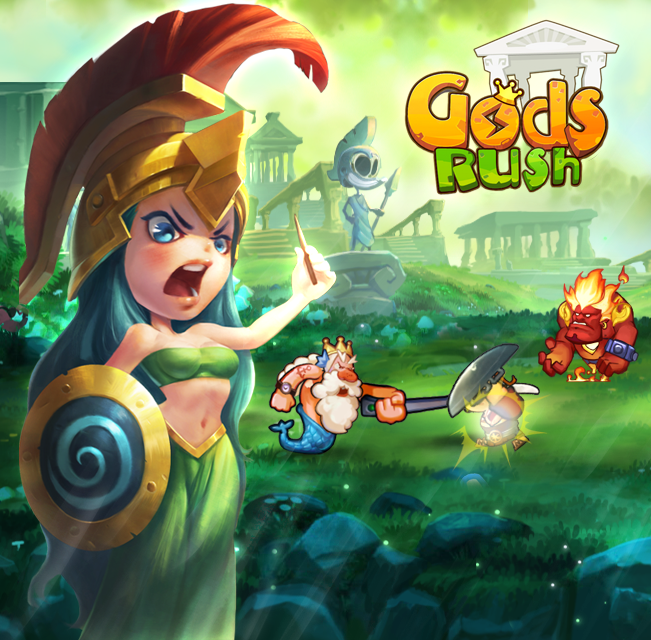 Gods Rush has already officially launched on Google Play! Download it for free on your Android device today! Don't forget to invite your friends on your adventure! 20 lucky Gods War players who log in to Gods Rush during the event period will stand to receive the most amazing prizes in BOTH Gods War AND Gods Rush! Event prizes will be sent one working day after the end of the event. The app is currently only available in Singapore and Canada. If you are unable to download it from Google Play in your region, please proceed to: http://goo.gl/DFKaI3 to download the app.